Soil conditions noticeable dryer but does not seem to have impacted pasture growth rates over the last week. Too early to get an accurate estimate of our NRR. Farm team happy with the number of returns to date daily. The four herds are to remain on their allocated farmlets at all times. The 2017/18 season aim is to feed all cows in a similar manner all season. Any differences to be recorded. OAD (BCS of 4 or less) cows can be fed extra supplement in the shed as required by the farm team but will remain with their allocated herds for research purposes. Concentrate in shed is a 50:50 mix of PKE and barley. Total area is 327 ha (eff), 32.5 ha (eff) young stock block and 294 ha (eff) platform. Winter crop is grown on both blocks for all stock. Crop rotation is two years in crop then re-grass. PGG Wrightson grass cultivars used are Rely, Platform and Excess, all diploids. Where target residuals are missed, topping after grazing is the tool the farm team use as needed. Last of the kale planted on the platform (Regal) and two paddocks planted on the young stock block (Kestrel). Some weeds developing in the new grass area which will require monitoring and potentially needing a post emergence spray. 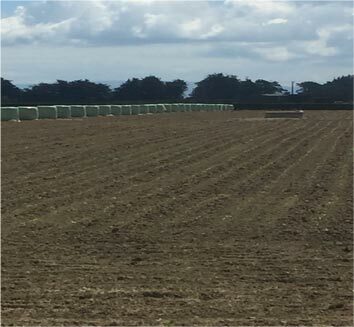 Whole Farm Spring Boost Fertiliser (as per Ravensdown recommended Agronomy Plan) will be applied weekly following the cows. On average 30 cows per day were required to achieve target submission rate. The calving spread of 17 weeks (spring 2017) meant there has been a focus on bringing our later calving cows forward over time. R2 heifers are split into two lines with Jersey bulls. They are due to return to the platform for a few days next week to weigh through the older set of wooden yards. Will update LW’s after weighing. Most of the heifers have been weaned off milk now and are grazing on the milking? platform still. Supplement has been harvested on the young stock block and when there has been sufficient regrowth the calves will join the R2 heifers there. Over the past two weeks we have completed our monthly effluent samples, fortnightly herd test and body condition scoring, along with weekly pasture metering. The first snip cuts of pasture for botanical composition have been taken and these will be analysed at a later date. The next scheduled snip cut will be in January/February. 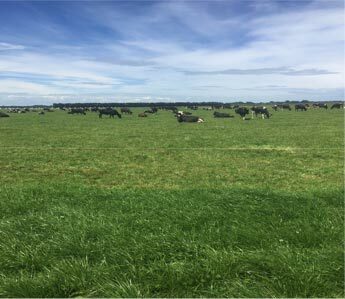 Nicole Hammond, who is a part time research technician and developer with DairyNZ, has returned from her 6-week trip away and was straight into herd testing and our first field day. Planning has begun for the two new trials that will hopefully begin in approximately a fortnights time. Further detail on these trials will be made available once planning is completed. Herd testing will move from fortnightly sampling to monthly sampling after the December herd test is completed. Body condition scoring will continue fortnightly. The farm team continue with Farmtune a lean management program designed to improve efficiencies on farm. 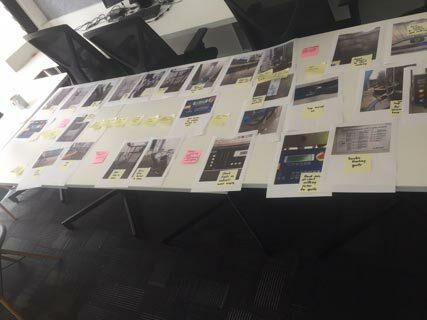 Over the last couple of weeks the team have been learning how to identify opportunities for improvement of different systems find solutions and create standard operating procedures. As previously reported, Applications for the newly advertised staff member are being reviewed as they arrive. Having the addition staff member will benefit the existing farm team as the normal daily jobs require double the workload on a research farm (for example four herds to get in for milking each day rather than two) which under the current structure has highlighted the requirement of an additional person to reduce the strain on the current team who continue to do a fantastic job.